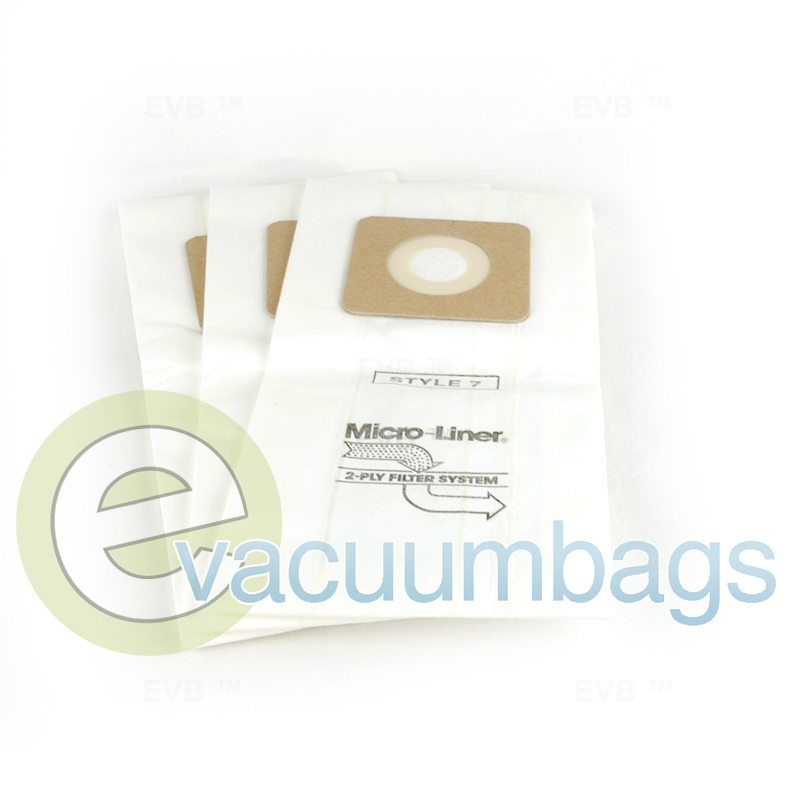 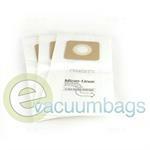 Generic micro lined paper vacuum bags, manufactured by DVC, for Bissell styles 1 and 7 upright model vacuums. This product features a 2-Ply filtration system that captures microscopic particles and allergens. 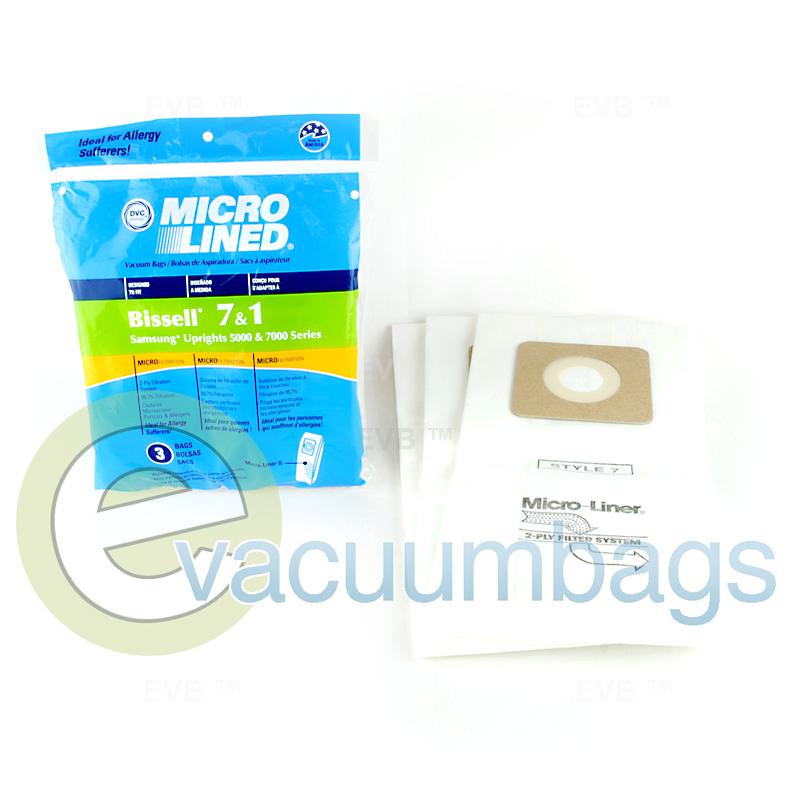 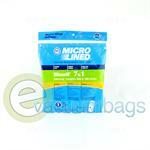 Bags are micro lined, 99.7% efficient down to 0.5 microns, and can capture particles as small as 0.1 micron. 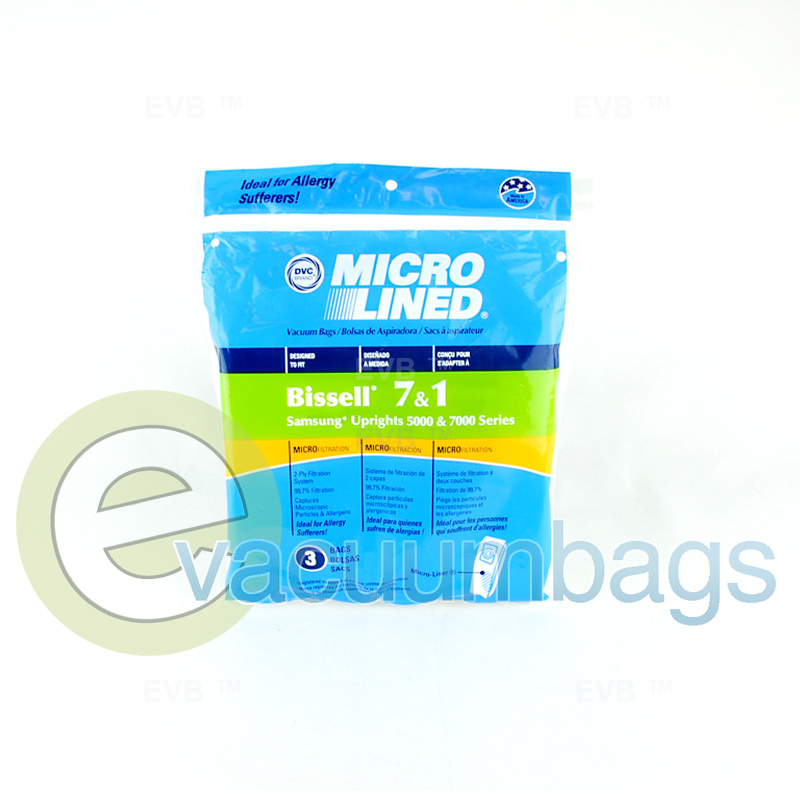 A must have for allergy sufferers!